There is an art to making an offer on a home. Typically, sellers place their home’s value a little higher than their desired price. A buyer will send in a lower bid, in a reasonable range, and the seller will counter with an offer somewhere in the middle. We will be watching for signs of problems in the home and will make suggestions to you regarding the offer. Listen closely and be sure to ask questions, as your offer is an important part of buying a home. You want to make sure all of your bases are covered. That’s where having us as your Buyer’s Agent is most valuable so your rights and interests are protected. With our experience on your side, we will be able to help you negotiate a lower price that sometimes includes concessions or closing costs and avoid homes that have problems. Our job is to protect YOU in the contract. Before the home is legally transferred to you, the closing process must occur. During this phase, you will sign all of the mortgage documents, pay closing costs, and sign various other legal documents. We will be there to help you through it all. Once all of the papers are signed and monies are transferred, the keys to your new home are yours! The only thing left to do is move into your humble abode. This may occur immediately after the closing or at the date set in the closing documents. Our website has the best online tools to search for your home! 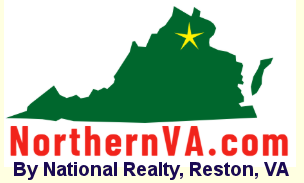 In fact, it’s even better than Zillow, Trulia and the many other real estate websites out there because our site is directly connected to the local MLS! What does that mean for you? Accuracy and Advantage! When you search homes here, you get the most up to date homes and properties available with the most accurate information! AND, if you sign up for Deal Alerts, you will get alerted of NEWEST Property matches BEFORE any other site has them! First, start by trying one of our Search tools in the menu. Try the Advanced search to choose specific options & customize your results based on all of the things you wish for in your new home. Second, Save your Search and you will be set up for auto alerts when a new home hits the market that matches! You can also try the Map search which offers a unique perspective by allowing you to use the polygon tool on the side to create boundaries on a map around the areas you want to live in. Already know the address of the property you want? Try the Address Search. OR if you have the property ID you can use the Listing Search to search by MLS#. Find a home you like? Simply click on the Schedule a showing button and send me an alert. We will schedule the time and confirm with you once it is set up! Once you have started searching, be sure to check out your My Account page so you can manage your Saved Searches & Favorite properties. The My Account feature has a ton of great tools designed to cater directly to you and provide you with a home-buying experience. And it’s Mobile friendly! Getting a home inspection is a vital part of the home buying process. These inspections ensure that the home’s foundation, ceiling, heating, electrical system, walls, plumbing and entryways are up to certain standards. Sometimes the bank will require a home inspection however; many times they leave it to the buyer to purchase their own. It is extremely important to protect yourself by getting a home inspection right away. You typically have 10 days from an accepted offer to get the home inspected. Many buyers have been saved from disaster by taking the time to spend the extra $200 – $400 to get a home inspection only to find out the house has major problems allowing them to back out of the contract before it is too late. If you need help finding a Home Inspector, ask me! We can give you recommendations for many service providers that we work with all the time!